This week the grade 6 class will be reading Science Friction by David Lubar. This story is a funny look at how collaborative work can work even with people with very different personalities, skills, and talents. This selection is always a popular one with the children. 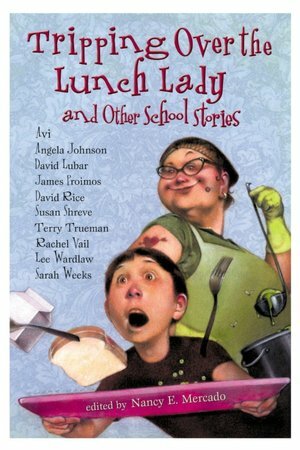 This story is part collection of short stories in the book Tripping Over the Lunch Lady and Other School Stories. This week also marks the beginning of a new unit. This month, we will be looking at persuasive writing, namely the persuasive essay. Little by little this month, the students will learn the basic parts, organization, and strategies for writing a standard five paragraph persuasive essay. this is a writing skill will serve them them as long as they in school. It isn't the funnest writing assignment, but it is one of the most valuable that I teach this year. I hope all of the students try their best to master it. Below is the weekly handout for this week. Please help your child review the spelling and vocabulary words. We will have a spelling test on Friday.